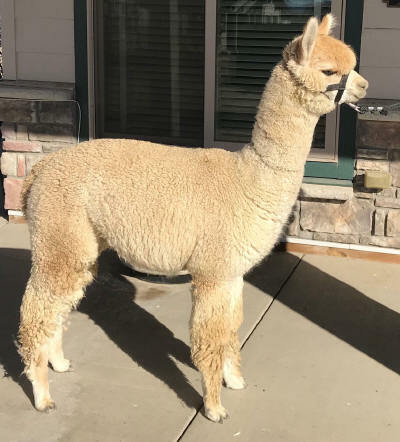 Alpacas and Alpacas For Sale at Xanadu Farm Alpacas - 2017 Crias! This spring we had an exceptional event at Xanadu Farm. 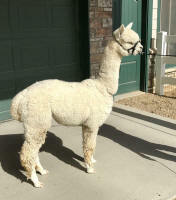 also gave us beautiful crias. We are so proud of this line of females. 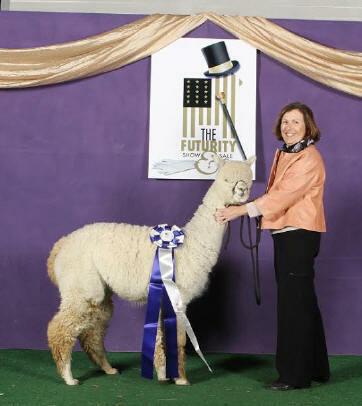 We’re very excited about this future herdsire from 2 fawn champions. Although breeding for white is our first love, we expect to, and do, produce that same elite quality when we breed for color. We repeated this breeding! She’s a carbon copy of Aristide. 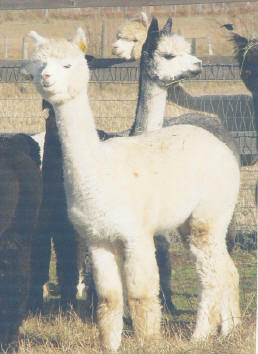 Absolutely stunning, bright white fleece and lots of it. 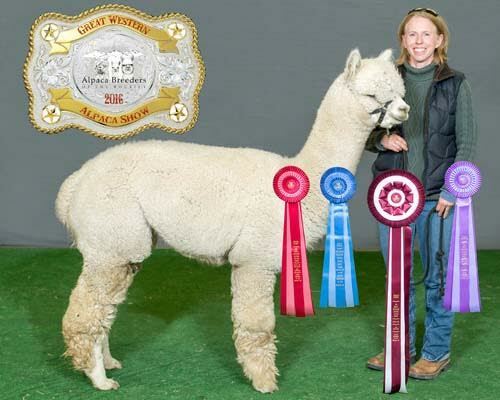 Both Haven & Aristide have exceptional fleece density & refined architecture & both brought their “A Game” to this little girl. 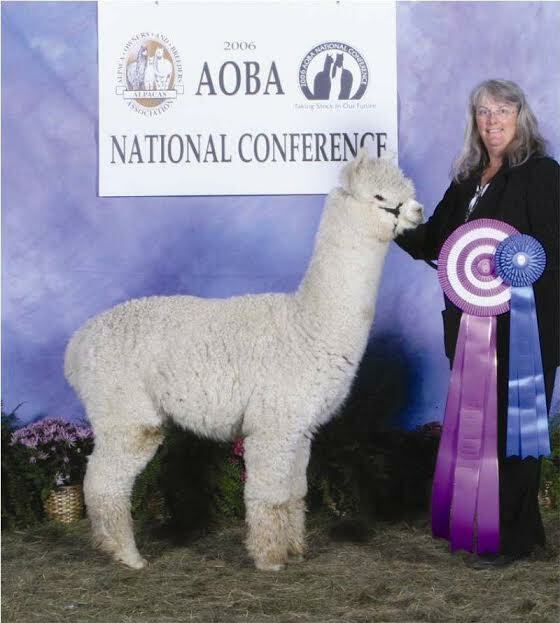 2nd Place in large classes at GWAS at just 6 months of age. 1st Place ABR Fall Fest. 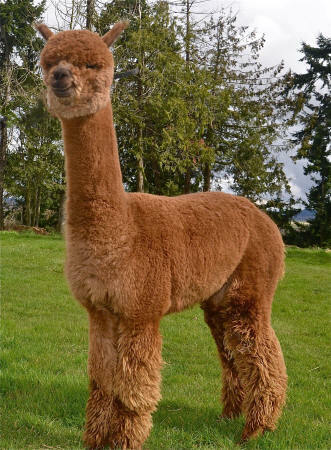 You could buy this youngster just on his pedigree & histogram, but his fleece is beautiful, too. Mom is a Judge’s Choice Elite Legend daughter & a power house producer for us. 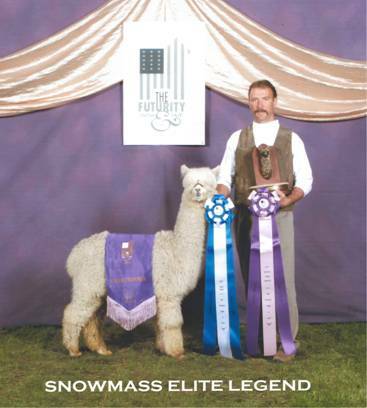 Embolden’s sire is SM Matrix. It doesn’t get much better. 2018 histogram: 16.2, 3.5 SD, 22 CV +0.5% + 30. 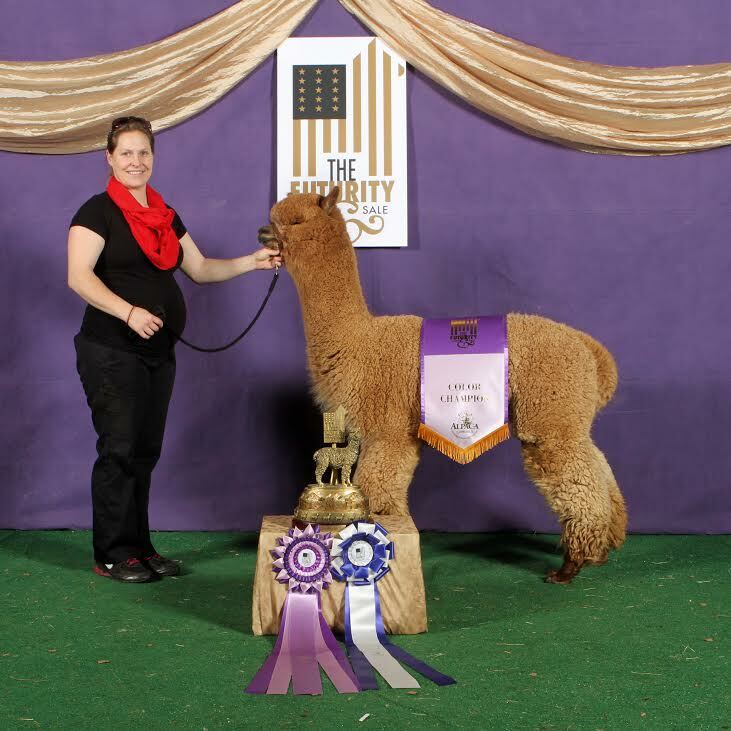 This stunning white boy shows what Tribute does when he’s bred to a Barnabus daughter. 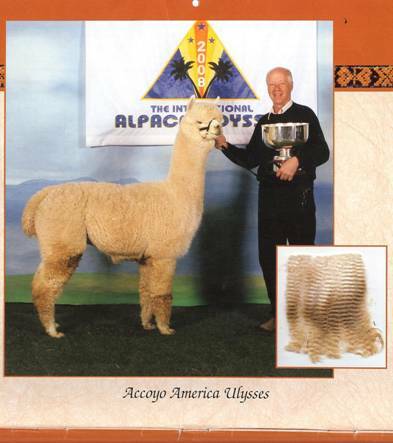 The match dependably produces elite fleece that passes predictably to the next generation. 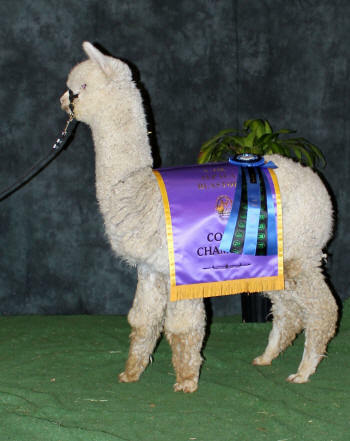 His full brother, Xanadu Nobel Bard, is already a color champion and is for sale. 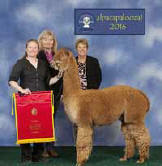 2nd Place in large classes at GWAS at just 6 months of age. 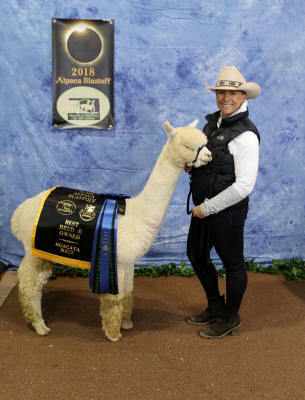 1st Place A-OK Show. 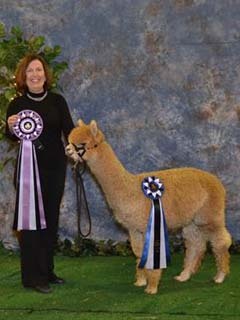 This was a breed back to produce another superstar like Xanadu Winged Spirit, our CC fawn girl. Mission accomplished! Xanadu Winged Spirit was purchased by Cambridge EP at the Parade of Champions sale and is on her way to Australia. “Sara” produces a champion every year – but we especially like this match. 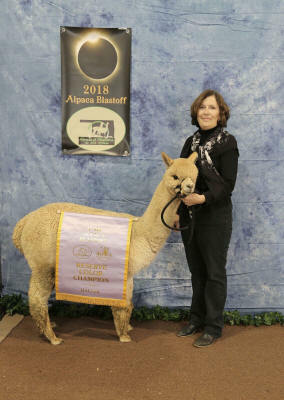 Color Champion Midwest Fleece Show, 1st & Reserve Champion, A-OK Blastoff. 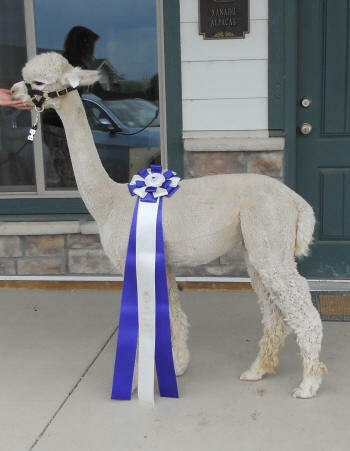 Judges are commenting on his elite fleece architecture & uniformity. 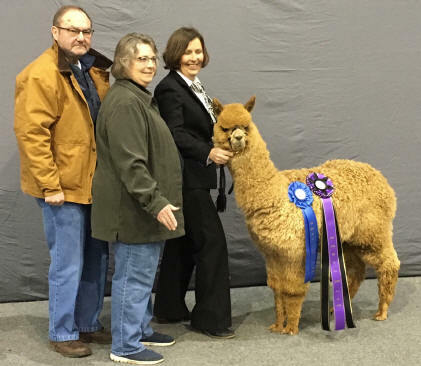 1st Place Bred & Owned – class of 6 – 2018 GWAS. We were stunned when this little gem arrived and to learn that Aristide covers black. Mom’s a brown Beethoven’s Dorian daughter. This little girl has exceptional density, heavy bone, a lovely fine fleece and Dad’s head. Breeding to Crescent Moon’s Wilkinson in the spring. A lovely match. 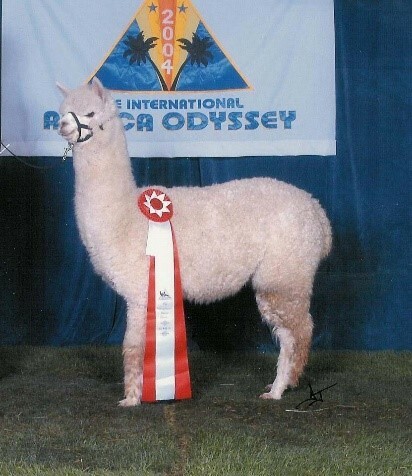 Cachet is one of 6 full sisters from Barnabus and our Presidio daughter, Xanadu Donno Bello. An exceptional line for us. Shasta Daisy may be Cachet’s best. 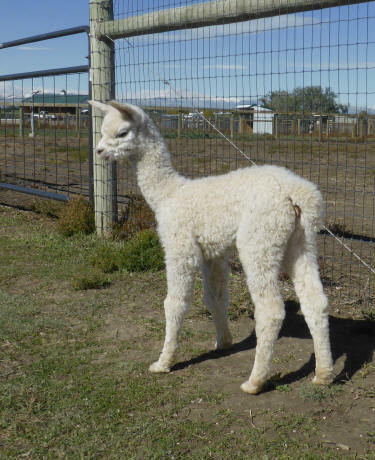 Her fleece is already tightly bundled and bright, bright. First place ABR Fall Fest and A-OK Blastoff. 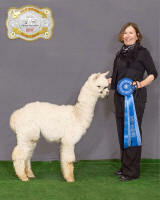 Our Judge’s Choice mom, Mercy took 366 days to deliver her first cria, but this youngster was well worth waiting for. 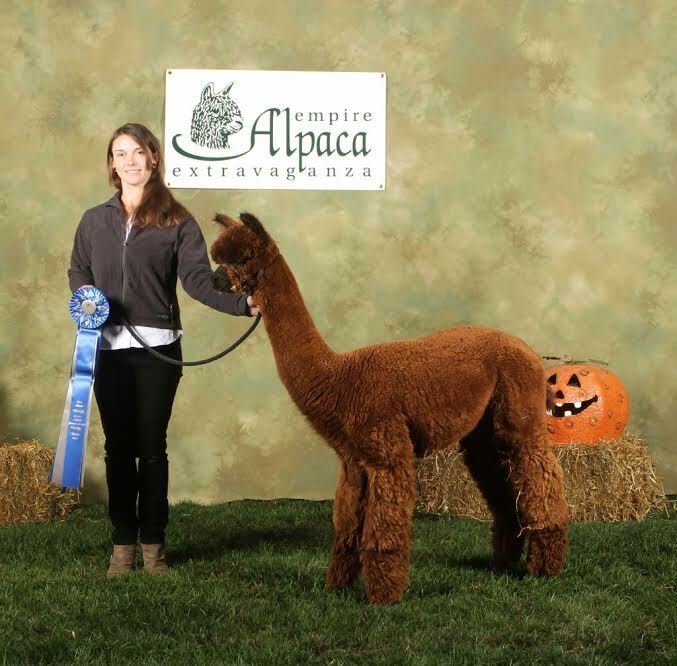 He draws fine and uniform fleece from both mom and dad, and is shiny bright. Keep an eye on this youngster. 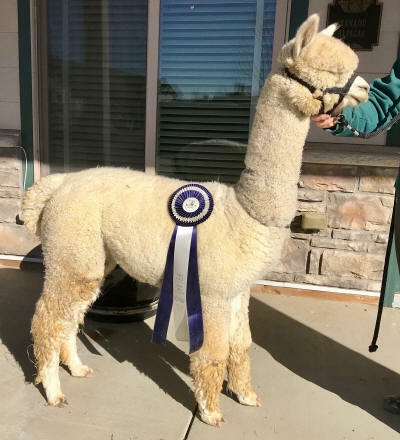 Mom is a Judge’s Choice Snowmass Velvet Touche daughter. 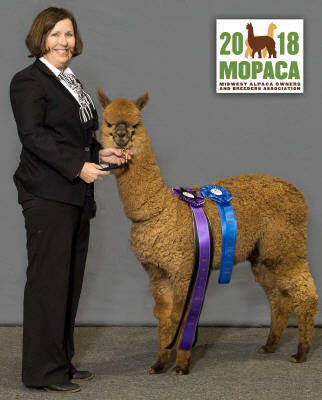 1st Place & Champion Bred & Owned, MoPaca Show & A-OK Show. 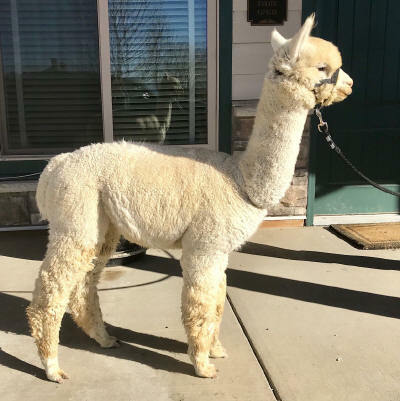 Belle’s 11th and final cria for us, and she decided to retire with a bang. 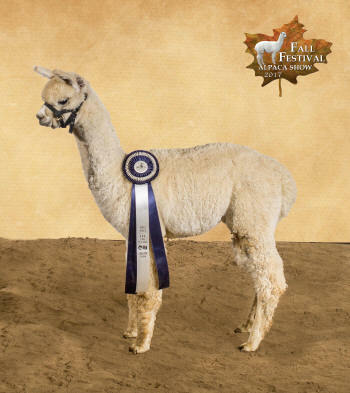 After 10 white crias this guy is a simply stunning, medium fawn Rocky Bay boy. His name says it all. 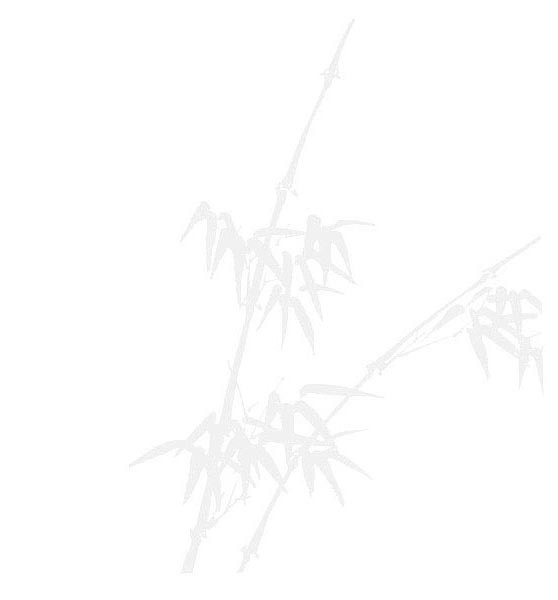 Exceptional density and outstanding brightness and uniformity. 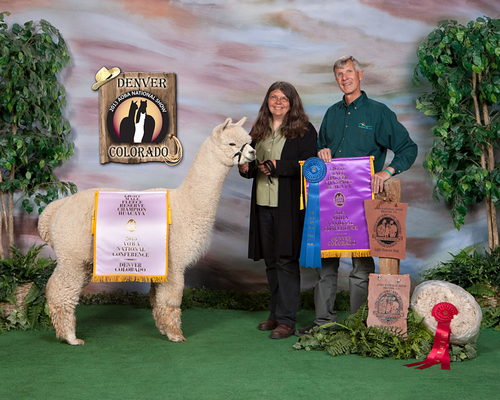 1st Place TxOlan & 1st & Color Champion MoPaca. 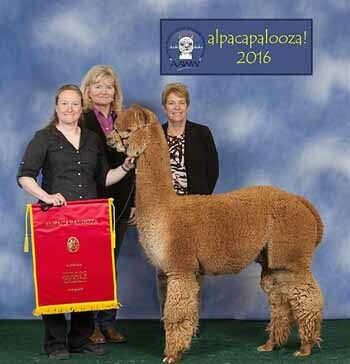 Congratulations to Kit and Richard Almich of North Country Alpacas on their purchase of this exceptional male. 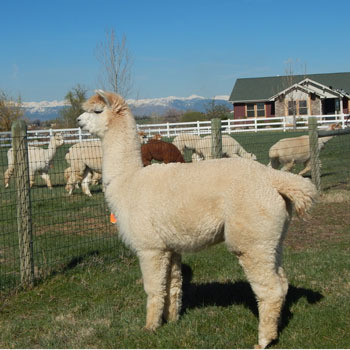 This light fawn boy is one of the last Polaris crias & mom’s first. Cabriole is full sister to Au Courant, Caprice and Cachet and they’re the bedrock of our program. 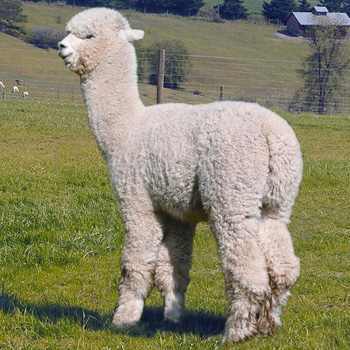 This guy may well come into our Herdsire Row, as we see how he grows. 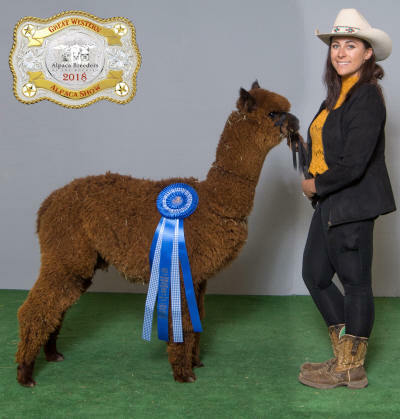 His fleece just shimmers and he has Dad’s head and over the top fleece density. 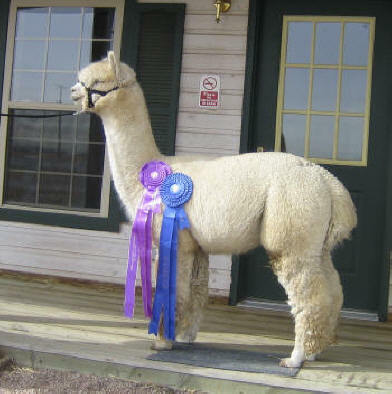 1st Place MoPaca Show, 1st and CC Fleece ABR Fall Fest” then 1st A- OK Show & 1st Place A-OK Show. Born on Memorial Day. 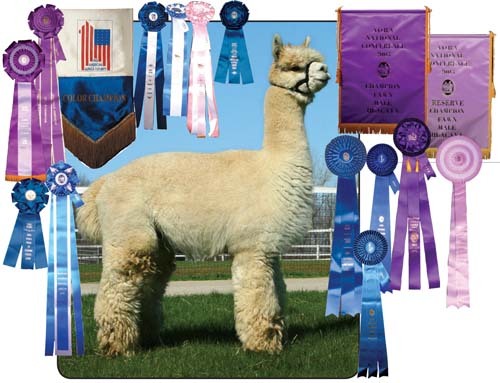 We choose our outside breedings carefully to target genetics of exceptional herdsires owned by other farms. We really liked this match to bring added density. 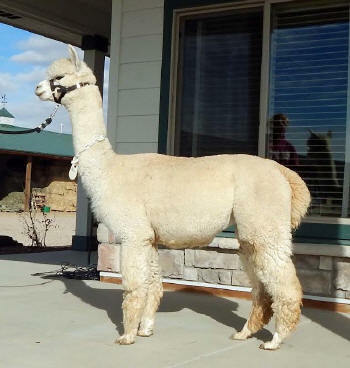 We are pleased with what we see in this handsome, white future herdsire. 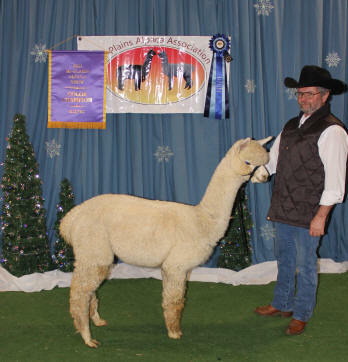 CC & Judge’s Choice ABR Fall Fest & 1st CC A-OK Show, 1st Place, TxOlan, MoPaca & GWAS shows. 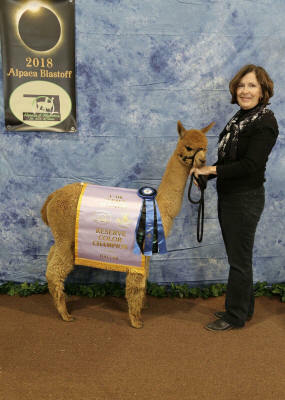 1st Place (class of 9) ’18 AOA Fleece Show. Courant is mom to our superstars with Snowstorm: Aristide, Adorno and Althea. 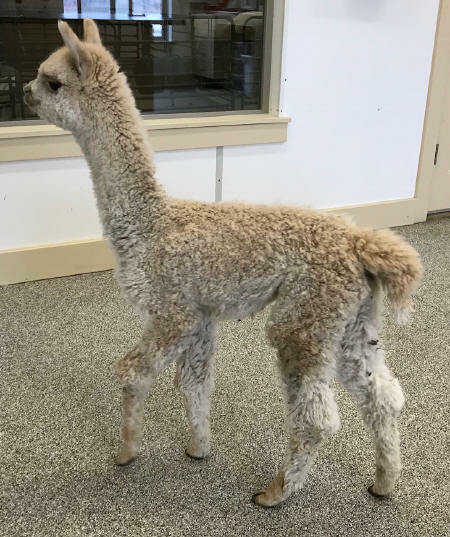 We matched her this time with an excellent male co-owned by Red Granite Ranch & Amber Autumn Alpacas to produce this sparkling light fawn gem; Courant’s first colored cria. 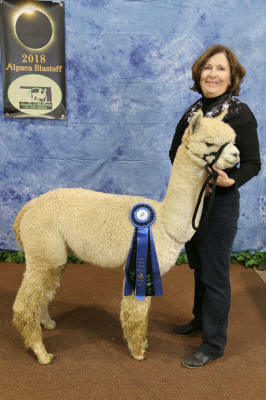 Reserve Champion halter A-OK Show & 1st & Reserve Champion Fleece Midwest Fleece Show. 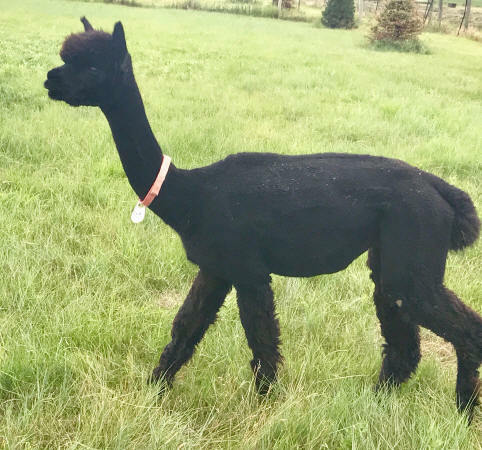 We purchased true black, Leia from Skyline to inject a little color into our herd. 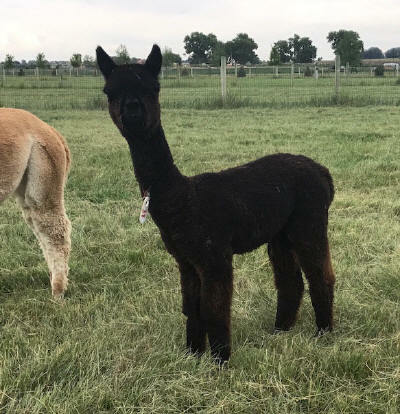 Primrose is dark brown with grey coming in on her neck, so while we didn’t get black, we did get a lovely girl. 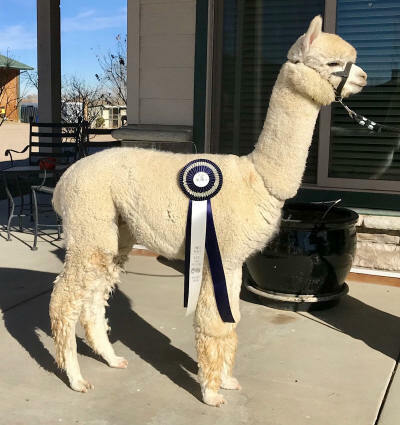 1st Place Walking Fleece – class of 4 2018 GWAS. 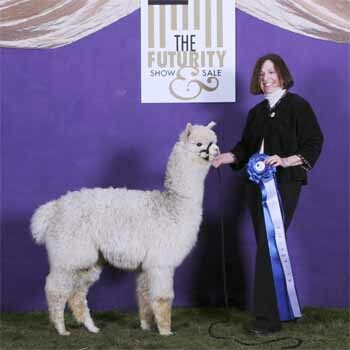 And clocking in at 372 days - our last spring cria. She’s well worth the wait. 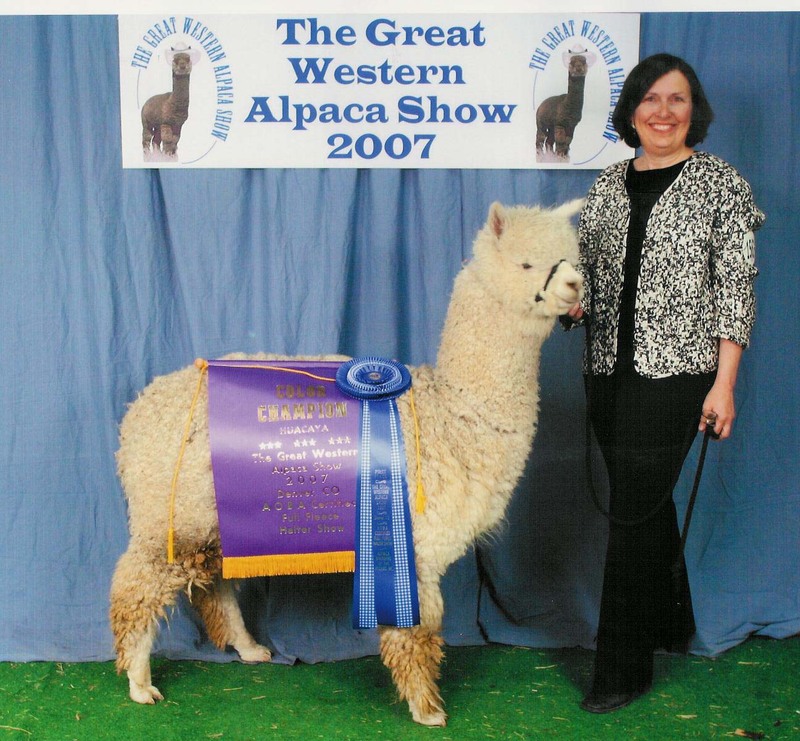 She’s a medium fawn girl loaded with fleece and has the sparkling brightness this line of females produces. 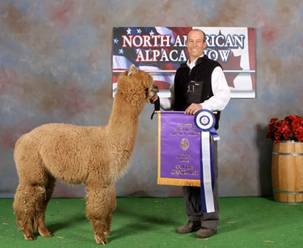 1st place TxOlan & GWAS Show and 1st & Color Champion MoPaca Show. 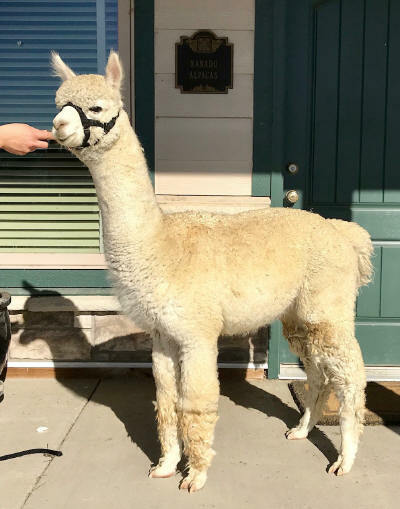 Keziah is now owned by Little Creek Farm. 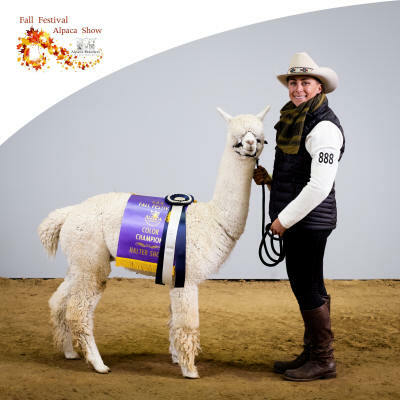 We don’t believe we’ve ever seen this much fleece packed onto a cria in combination with ultra-fineness. We did a once only line breeding to attempt a synthesis of the Barnabus/Presidio match. He’s just stunning. We’ll be watching him as he grows.